The month of February saw the adidas team get to spend a couple of days with some of the biggest rugby stars on the planet. In fact there were 20 in total including George North, Ben Youngs, Liam Williams and George Ford (… and they call that work?!). 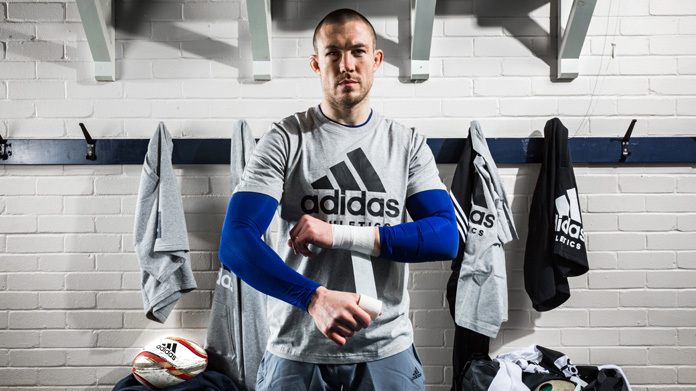 We wanted to help adidas create engaging content around the Six Nations that was authentic to a rugby audience and showed off the great rugby assets adidas had during the tournament … as well, of course, as showing off the new boots. So the team went about utilising their growing list of creator contacts, to find three individual creators who could capture standout content and bring our creative ideas to life. And we captured imagery of the players in the changing room, focusing on the latest adidas boots in our shots for each. All that was left was for the Six Nations to begin and for the players to work their magic. Once the tournament got under way the content was used reactively on both @adidasLondon and @adidasRugby Global social channels, both in-feed and as part of reactive Instagram stories. The content was also used by the players themselves on their own channels. In terms of the results the content was well received throughout the tournament with the GIFS receiving on average 25,000 views, whilst the imagery received 6,500 engagements on average per post. Not a bad result altogether.